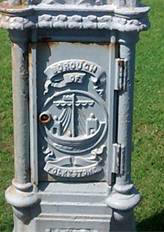 The Borough coat of arms, as used on the Nurses badge above, here on a lamp post. Louisa’s Service Award, Gold Medal, 1927-1955. 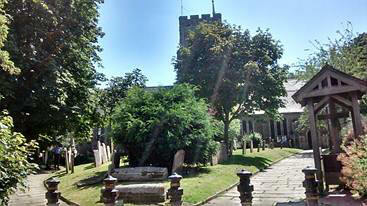 The Parish Church of St Mary and St Eanswythe, Folkestone. 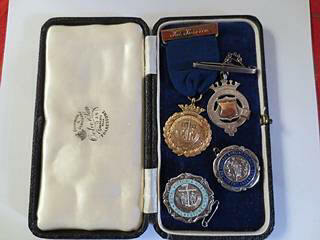 Louisa’s Medals in the Gold Service award Oclee jewellers Box. 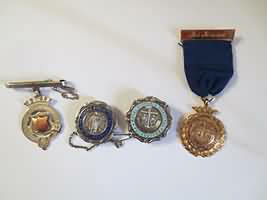 L: R; First Prize Medal, GNC badge, Folkestone Hospital Badge and Gold medal ’For Service’. Little is known about this medal, there are none mentioned elsewhere in the press so far researched. 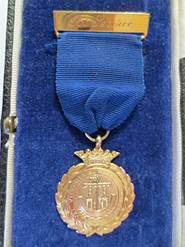 It is not known when this was awarded from and too, however, it was awarded by 1938, when the hospital administrator wrote what amounts to an advertisement for nursing in the Folkestone Herald, extolling the virtues of the RVH hospital training and nursing as a profession, ‘It is the custom here for the Hospital to award a gold medal to the ; Best Nurse of her year’ and this is a much coveted prize, creating keenness and efficiency’.17 Nurse training was ‘Evacuated inland’ during WW2, so it is thought that awards may have ‘slid’ during this time.13 Oclee, the Jewellers thought that as it is in their box it is likely that they supplied it, but no longer hold records. 1955- Possible Retirement of Sister L Noakes; she appears to have been awarded the one which was not awarded in the previous October as a long service medal, or perhaps two were purchased, and only one was awarded. 1973- SEN Mrs Diane Spencer received the award. In 1960 a ‘runner-up’ prize was awarded; a silver buckle to Staff Nurse Wendy Holyer. Due to a major reorganisation of Health districts, and the new William Harvey Hospital, opening in Ashford in 1974 it appears that nurse training moved away at about this time. 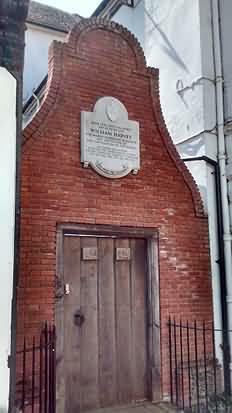 William Harvey, after whom the new hospital was named, and who discovered blood, was born in Folkestone, near this building on 1st April 1578. 1. http://www.freebmd.org.uk, England Marriage Indexes, accessed 21st July 2014; Ancestry.com, The National Archives,1901 England Census RG13/ 777/40/ 22 and 1911 England Census RG14/4213/55, accessed 21st July 2014. 2. http://www.freebmd.org.uk, England Marriage Indexes, accessed 21st July 2014; Ancestry.com, TNA, 1901 England Census RG13/ 777/40/ 22 and 1911 England Census RG14/4213/55, accessed 21st July 2014. 3. H. Burdett, Editor ‘How to become a Nurse- The Nursing Profession, How and Where to Train’, 10th Edition, 1923. 4. Kent History Library Centre, Maidstone, MH/SEK6/AZ 2/2, Superannuation report, 5/7/1948. 5. KHLC, Maidstone, MH/SEK6/AZ 2/2, Superannuation report, 5/7/1948, Superannuation report; http://www.freebmd.org.uk England Death Indexes. 6. KHLC, Maidstone, MH/SEK6/AZ 2/2, Superannuation report, 5/7/1948; South Kent Gazette, ‘We’ll meet again…’ 11 June 1980. 7. M. Easdown, ‘ A Grand Old Lady, A History of the Royal Victoria Hospital, Folkestone, 1846-1996, Folkestone, 1996, p 39. 8. M. Easdown, ‘ A Grand Old Lady, A History of the Royal Victoria Hospital, Folkestone, 1846-1996, Folkestone, 1996, p 40. 9. KHLC, Maidstone, MH/SEK6/AZ 2/2, Superannuation report, 5/7/1948; KHLC, Maidstone, MH/SEK6/AZ 2/1, List of invitations and attendees of the Christmas Medical and Trained Staff Dinner, February 1954 and February 1955. 10. http://www.freebmd.org.uk, England Death Indexes, accessed 21st July 2014. 11. S K G, ‘We’ll meet again…’ 11 June 1980. 12. Folkestone and Hythe Herald, 28th October 1983, Deaths, p2. 13. M. Easdown, ‘ A Grand Old Lady, A History of the Royal Victoria Hospital, Folkestone, 1846-1996, Folkestone, 1996, p 40. 14. Folkestone and Hythe Herald, Saturday October 1st 1955, p2. 15. Folkestone and Hythe Herald, Saturday October 22nd 1960. 16. Folkestone Herald, 21st April 1973. 17. KHLC, Maidstone, MH/SEK6/AZ 2/2, Folkestone Herald, 11th June 1938. 18. http://www.schoolsofnursing.co.uk/Collections1/Collections36.htm, accessed 21st July 2014. 19. KHLC, Maidstone, MH/SEK6/AZ 2/2, Folkestone and Hythe Herald, October 22nd 1960. Illustrations, Private Collection, Copyright owner. 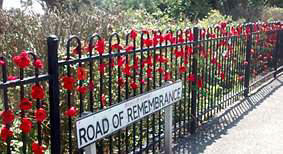 Many thanks to all those who have helped, in particular Mark Kerr, Martin Easdown, Harry, and Will for uploading to SON. 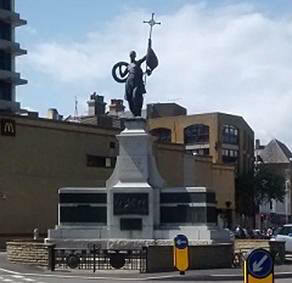 Copyright, Sarah Rogers, 20th July 2014.